What Is Even Going On With These Brand New Pokemon, Anyway? 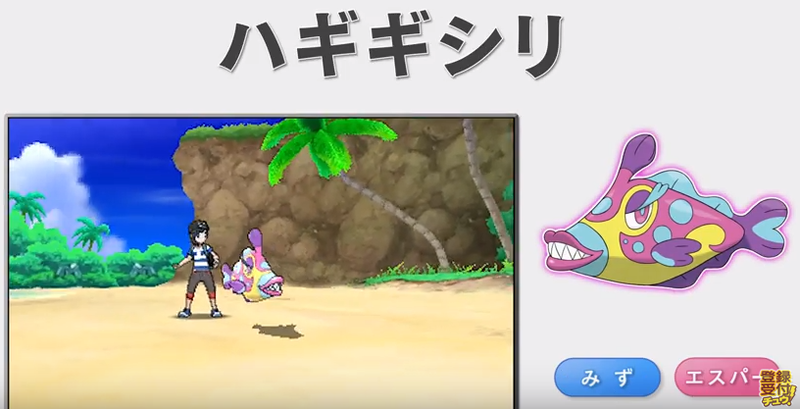 I mean, there's some kind of psychedelic fish Pokemon now, so that's something. Nintendo is content to let the Pokemon news trickle in slowly, and we're all eager to eat it up, especially this newest round of Pokemon. There's supposedly a glut of new information coming tomorrow, but this new drailer dropped today, and it's chock-full of Pokemon for you to ogle. Seven in fact, and man oh man are they weird. But just check out these weird Pokemon, though. There's a strange, psychedelic fish, a soldier-like electric/fairy type (Tapukoko), a cubelike bug (what?! ), a dragonfly that looks like an energy sword from Halo, a dragon I'm just going to go ahead and call Puff, an adorable little fly (Cutiefly, duh) and a fat little hedgehog that looks like a hamster crossed with Pikachu. I'm, uh, well...those sure do look like Pokemon. Hey, I'm still excited though!